The Deputy Chairman of the Mejlis of the Crimean Tatar people, Akhtem Chiygoz, believes that six members who cooperate with the occupation authorities in Crimea should be excluded from the representative body of the Crimean Tatars. Akhtem Chiygoz expressed this opinion in a commentary to QHA at the Conference of Qurultay of the Crimean Tatar People, which was held in Kyiv on November 12. Now the powers of these six members of the Mejlis are suspended. Also, according to Chiygoz, for the same reason, about 12 members of Qurultay should be excluded. 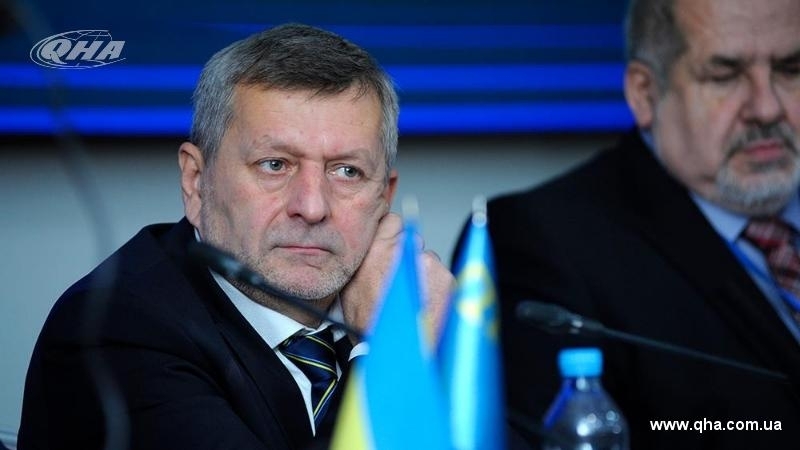 According to Chiygoz, the participants in the Qurultay Conference should determine the mechanism to achieve it. Among the six members who were proposed to exclude from the Mejlis over cooperation with the occupying power in the Crimea are the former "Vice Speaker" of the Russian parliament Remzi Ilyasov and the Head of the "Muslim Spiritual Administration of Crimea" cooperating with Russia Emirali Ablayev. The First Deputy Head of the Mejlis of the Crimean Tatar people, Nariman Dzhelal said in a commentary to QHA, that, one should not be "careless about internal documents" in the matter of exclusion of collaborators from the Mejlis. According to him, the expulsion of those members of Mejlis of the Crimean Tatar people who cooperated with the occupying power is one of the most controversial issues. Dzhelal went on saying that the procedure for electing new members of the Mejlis is rather complicated. The leader of the Crimean Tatar people, Mustafa Dzhemilev, said that the issue of expelling collaborators from the Mejlis and electing new ones to take their place would be considered at the Conference of Qurultay. Dzhemilev noted that such decisions require a quorum.